Corn Palace Buffalo – The Home of My "Big Things"
We were spending the night in Mitchell, SD, famous for it’s Corn Palace. Interesting place to see, but better yet the city with many Big Things. 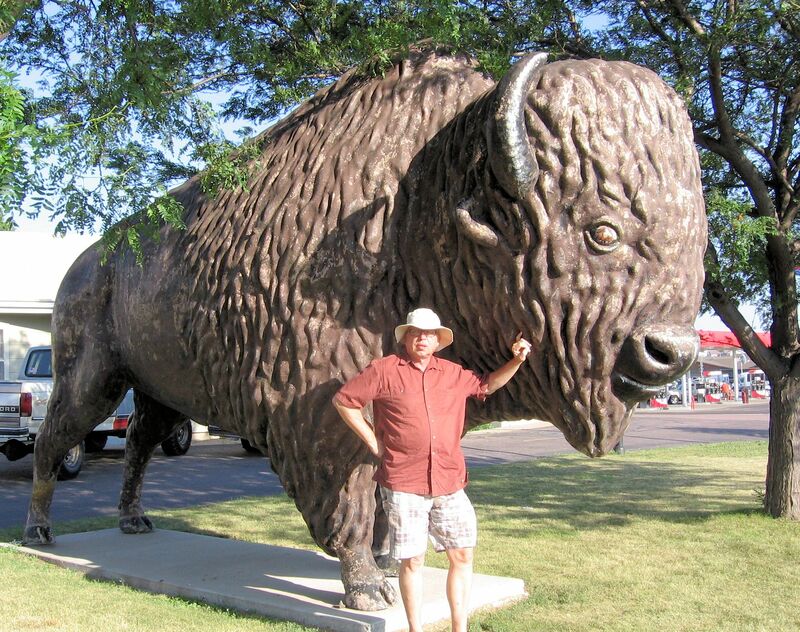 This buffalo is in front of the Corn Palace Motel and may be related to the Big Buffalo below in front of Big Al’s.